Ruth Crissman Harris, 97, passed away peacefully Thursday, August 30, 2018, at Magnolia Gardens Senior Care in Roanoke Rapids. She was born May 1, 1921, in Tarboro. She was preceded in death by her loving parents, Curtis and Delle Crissman and her husband of 59 years, Thomas G. Harris. She is survived by her sons, Thomas G. Harris, Jr. (MaryBeth) of Lexington, GA and John “Scott” Harris (Betty) of Roanoke Rapids. She is also survived by her daughters Criss Harris Blackstone of Washington, NC and Caroline Harris Hackley (Phillip Harmon) of Waynesboro, VA. Ruth (Nannie) also leaves behind her grandchildren Mary Caroline Harris, Thomas G. Harris III, Carl Blackstone (Mary Addison), Laura Blackstone, Scott Harris (Becky), John Harris (Michelle), and Benjamin Hackley. She also leaves behind five great-grandchildren, Mary Thomas, Frances, Margaret, and Kate Blackstone, and Cole and Brooke Harris. Ruth graduated from Macon High School and went on to Meredith College where she received a B. A. in English in 1942. Ruth enjoyed lunch with “the girls” at Second Street Lunch, history, genealogy, and sharing stories about her grandchildren. Ruth loved to travel and enjoyed many trips around the world. 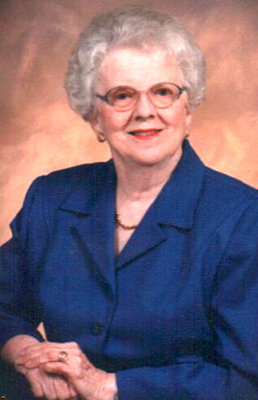 Ruth volunteered and served on boards for many organizations in Roanoke Rapids and during her years in West Point, VA. She served on the Library Board, was president of the United Methodist Women’s Group, served on the committee to rebuild First United Methodist Church in Roanoke Rapids, NC, following a fire, and many other organizations. The family wishes to extend their gratitude to Magnolia Gardens for their love and care of Ruth over the years. Graveside Services will be held Thursday, September 6, 2018 at 11:00 A.M. at Greenwood Cemetery in Macon, NC with Rev. Sue Owens officiating. The family will receive friends from 6:00 P.M. until 8:00 P.M. Wednesday, September 5, 2018 at Wrenn Clarke & Hagan Funeral and Cremation Service in Roanoke Rapids, NC. In lieu of flowers, contributions may be made in her memory to Macon United Methodist Church, West Point United Methodist Church, or First United Methodist in Roanoke Rapids, NC.